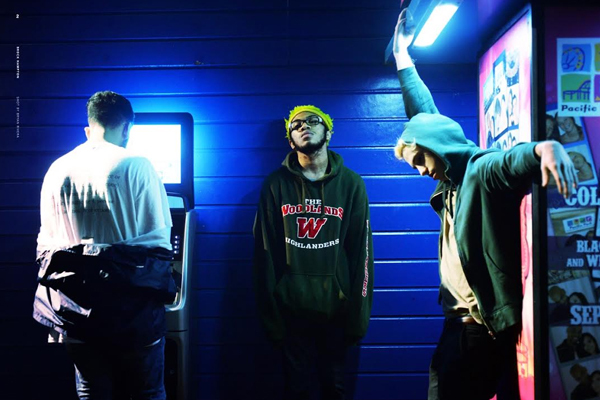 Brockhampton have been gearing up for absolutely huge year, with it looking as if they’re hellbent on proving to everyone just how talented they all are. They haven’t been together all that long, but they’re slowly making a name for themselves as one of the most exciting forces in hip-hop. Kevin Abstract is gearing up to release his second full-length, Death of a Supermodel, sometime later this year, although it looks like we’re going to have to wait a while until we get our first taste of it. Appropriately titled “NOT ON DOASM 01,” the passionate new track “sounds nothing like [Death of a Supermodel]” according to Kevin. But if there’s one thing we already know, it’s that Kevin knows how versatile he can be, and this new track marks a stark change of pace from last year’s MTV1987. Featuring Brockhampton cohorts Matt Champion and Ameer Vann, the Bear//Face and Romil-produced track is goddamn huge. With its booming bass, monolithic chorus, and impassioned verses, “NOT ON DOASM 01” is just another reminder of what these kids are truly capable of. Listen to and download the track below.